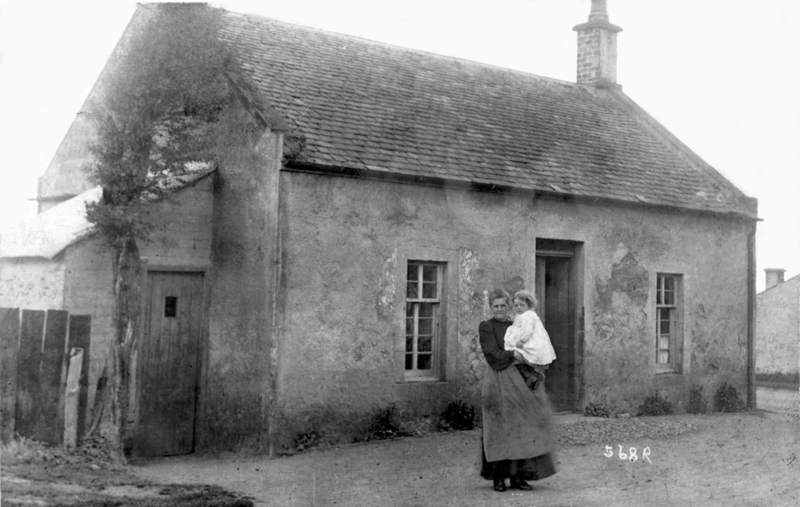 This image came via e mail, and Jim had recognised the previous image of Mr Lyle outside this same cottage at Mauchline Hill Top. The family pictured here are Gibson. This photo however clearly shows the minor road to the left, and the second house, which sat where the car park now is. At one time the Nairn family lived there. Jim went on to say,"The Gibson’s are on my Grandmothers side. They appear to have lived in the Cowgate at some time, as on the 1861 census, but I cannot see any connection to Poosie Nansie’s. My Grandmother and her sister were born in the Old Manse Mauchline although I don't know where this is. I have been to Mauchline only once looking through the Graveyard in the church and also the newer graveyard but I didn't find any tangible record of relatives."